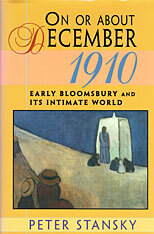 "On or about December 1910" human character changed, Virginia Woolf remarked, and well she might have. The company she kept, the Bloomsbury circle, took shape before the coming of World War I, and would have a lasting impact on English society and culture after the war. This book captures the dazzling world of Bloomsbury at the end of an era, and on the eve of modernism. Peter Stansky depicts the vanguard of a rising generation seizing its moment. He shows us Woolf in that fateful year, in the midst of an emotional breakdown, reaching a turning point with her first novel, The Voyage Out, and E. M. Forster, already a success, offering Howards End and acknowledging his passion for another man. 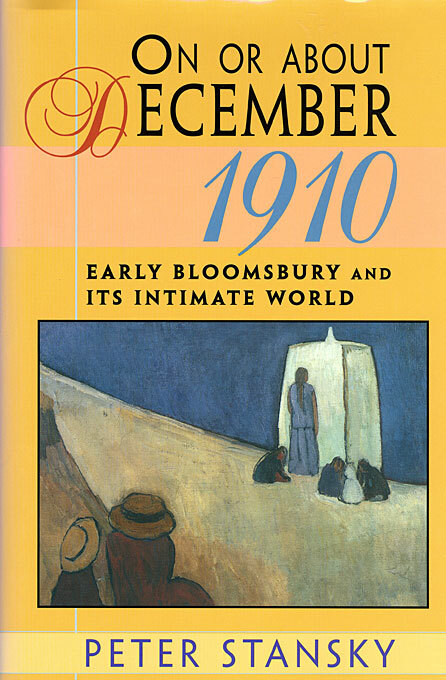 Here are Roger Fry, prominent art critic and connoisseur, remaking tradition with the epochal exhibition "Manet and the Post-Impressionists"; Vanessa Bell and Duncan Grant beginning their most interesting phase as artists; Lytton Strachey signing the contract for his first book; and John Maynard Keynes entering a significant new stage in his illustrious career. Amid the glittering opulence and dismal poverty, the swirl of Suffragists, anarchists, agitators, and organizers, Stansky--drawing upon his historical and literary skills--brings the intimate world of the Bloomsbury group to life. Their lives, relationships, writings, and ideas entwine, casting one member after another in sharp relief. Even their Dreadnought Hoax, a trick played on the sacred institution of the navy, reveals their boldness and esprit. The picture Stansky presents, with all its drama and detail, encompasses the conflicts and sureties of a changing world of politics, aesthetics, and character.